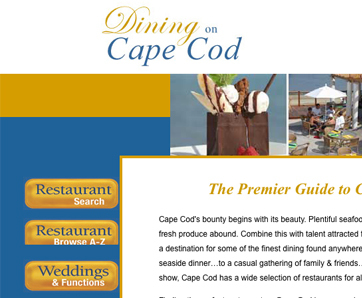 Dining on Cape Cod, Cape Cod’s premier dining guide, wanted to develop a companion website for their print publication. 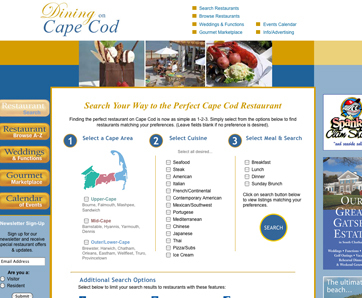 The new site allows users to easily navigate Cape Cod restaurant listings and obtain helpful information. The site’s CMS allows the publishers to easily manage restaurant listings as needed. The site has served as a compelling value-added resource for advertisers, and also enjoys impressive search engine rankings and consistent traffic.